HIGH Well, thank heavens I picked the right one last time. LOW One last set of major graphical glitches. WTF I wasn’t expecting to run into you in this dream-state! Endings are always a challenge, but especially so in choice-based games. 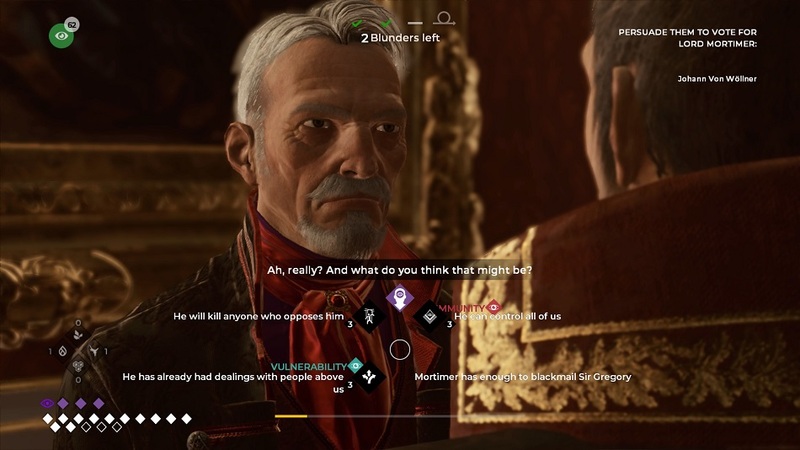 Allowing the player to drive the story is a great way to create engagement, but if they start feeling railroaded towards a specific ending, it can lead to more severe disappointment than a mediocre ‘traditional’ ending might bring — not only do players end up someplace they didn’t want to be, but they were implicitly promised that they’d have a chance to guide their own fate. So, it’s to the developers’ credit that The Council’s final chapter manages to be a satisfying conclusion to the season. Compared to the previous chapters, there’s almost nothing to do this time – there are no items to hunt down, and just a few conversations to verbally spar through. This chapter is all about payoff, and there’s a real sense of satisfaction in seeing the results of all of my actions. The time invested in learning everyone’s secrets and building my skills was well-spent as I found myself able to breeze through the last few encounters before running into a couple of The Council‘s patented ‘slightly too-oblique’ puzzles before wrapping things up with a satisfying set of ‘what happened next?’ for all of the famous characters. However, in keeping with the history of the last four episodes, things are a little rocky getting there. For example, a key scene was flubbed badly by the engine — all of the characters forgot how to sit down, so a vitally dramatic moment played out over closeups of their waists as they stood inside their chairs. Then, a puzzle cropped up with a set of instructions that were about half as clear as they needed to be. Finally there’s a decision to make in the final chapter that has the potential to massively impact the ultimate confrontation, but I didn’t have nearly enough information about the stakes. It’s possible that I missed a document or conversation somewhere that would have clued me in, but as it was, I felt like the devs were springing a huge development on me at the eleventh hour. Even with those qualms, however, I remain impressed with just how many options The Council gives players. There are no dud skills or bad starting builds. Throughout the entire game I saw dozens of missed opportunities where a different version of the main character could have approached things significantly differently, making the RPG elements feel wholly justified in their addition. It’s just too bad that the content doesn’t offer a New Game+ option or any way for the player to quickly zip through the game again just to see how things could have played out differently without investing another eight hours of backtracking and unskippable conversations. Here at the end, as The Council reveals all of its cards, it becomes clear that the developers clearly and fundamentally understood the importance of player impact on interactive movies. 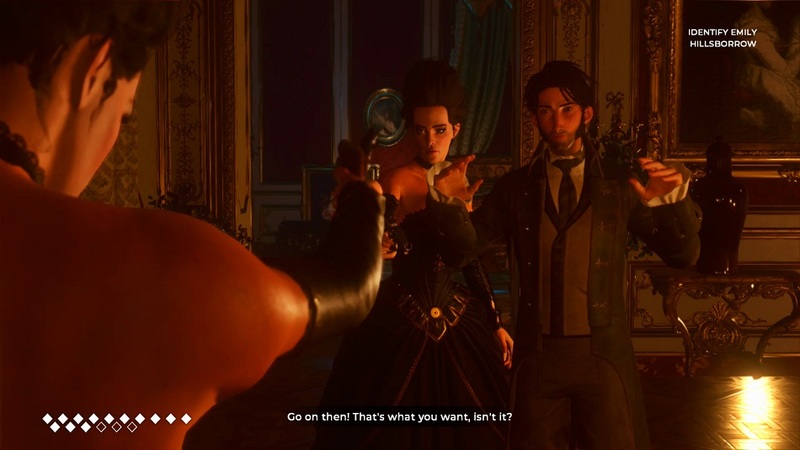 While the skeleton of the game is rigid – certain characters will always make it to the final chapter, and others are clearly less vital to the proceedings – the interactions with them are satisfying and consequential. Whatever ending players end up earning, The Council always makes it easy for players to feel like part of the story, and more importantly, it had a good story to tell them. Rating: Episode 5 on its own, 6.5 out of 10. 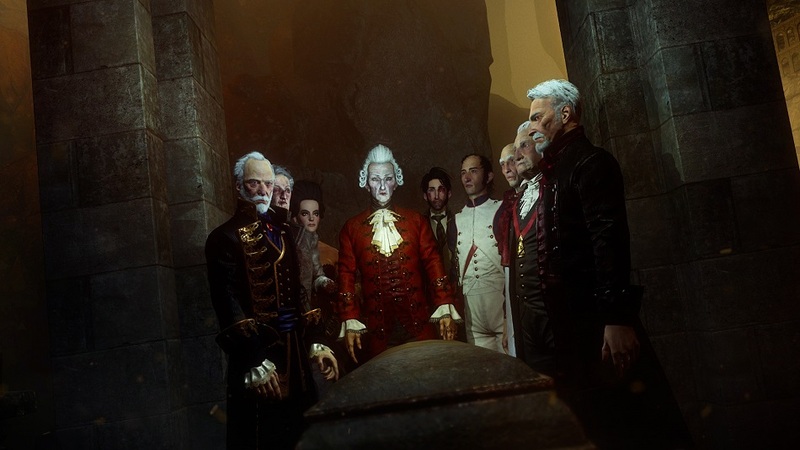 The Council as a complete series, 7.5 out of 10. Disclosures: This game is developed by Big Bad Wolf and published by Focus Home Interactive. It is currently available on PC, PS4, and XBO. 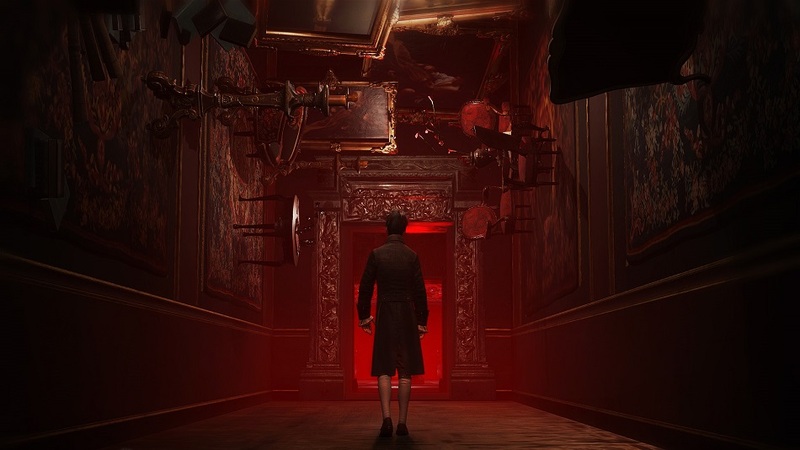 This copy of the game was obtained via publisher and reviewed on the PS4 Pro. Approximately 4 hours of play were devoted to the single-player mode, and the episode was completed. There are no multiplayer modes. Parents: According to the ESRB, this game is rated M and contains Violence, Blood, Sexual Themes, Strong Language, and Use of Alcohol. This title offers drinking, drugs, threatened sexual violence, and a whole lot of swearing. This is as ‘mature’ as these things get. No kids anywhere near it, please. Colorblind Modes: There no colorblind modes available in the options. Deaf & Hard of Hearing Gamers: There are subtleties to the tone of voice that characters use in conversations which are relevant to figuring out what they’re concealing. There are often facial cues to offer the clue as well, but not always, so the confrontations may be a little more difficult. All dialogue is subtitled. Text cannot be resized. Remappable Controls: No, this game’s controls are not remappable. There is no control diagram. Players control the movement of their character with the left thumbstick, and the camera with the right. Face buttons control interaction, with arrow buttons managing item use. A trigger is used for sprinting.